As supermarkets devote more and more real estate to perishables, prepared foods, foodservice, and seasonal items, space devoted to traditional canned, boxed and jarred groceries continues to shrink. In an attempt to make center store more profitable, many retailers are reducing facings and culling sizes of national and regional brands. But don’t count packaged foods out, because astute manufacturers are wooing consumers with updated versions of time-honored classics. In the canned seafood set, for example. Season Brand has cast its net to lure in new customers with the new Season Savories. 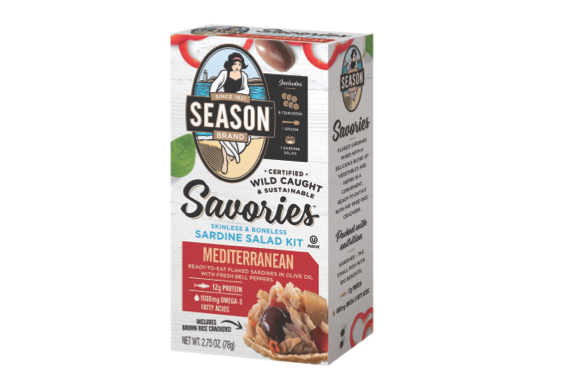 These ready-to-eat meal kits, available in Sweet & Spicy, Lemon Veggie and Mediterranean varieties, feature skinless and boneless sardine salad, six fat-free organic rice crackers and a foldable spoon, along with a novel “EZ-Peel” lid that is splash free and safer than conventional metal lids. 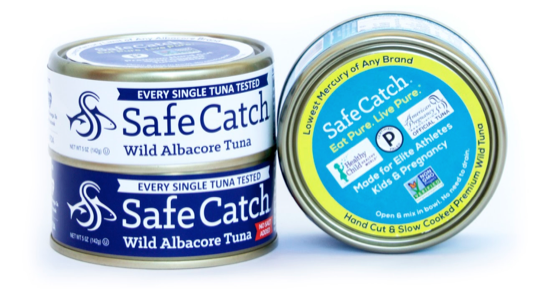 A few feet down the aisle, Safe Catch is hooking consumers concerned about mercury levels in tuna with a line of innovative canned and pouched tuna and salmon featuring fish that are individually tested for mercury to a limit ten times stricter than FDA recommendations. Peanut butter and jelly is another popular lunch option that has seen better days. Adrian M. Silversmith is revitalizing that category with Sprelly, a line of gourmet flavored nut butters and accompanying jellies (Sweet Thai Chili Peanut and Raspberry Zinfandel jelly, to name two) that can be paired – like one would pair a protein and bottle of wine – to create a delicious dining experience. “I want to be the wall that divides the peanut butter section from the jelly section,” says Silversmith, founder of Fredericksburg, Va.-based Sprelly. “There could be a recommended pairing that could be wrapped together,” he says, envisioning a cellophane wrapped peanut butter and jelly duo, bundled similar to a twin pack of deodorant one would find in Costco. With the rise of vastly improved frozen entrees, hot prepared food counters and gourmet meal kits, the boxed packaged dinner category has been treated as a joke by many retailers. But the punchline is that the goat cheese-based macaroni & cheese dinners from Funny Farm by La Loo’s is seeing phenomenal growth. In fact, the Frisco, Texas-based company’s Creamy Goat Cheddar Cheese, Creamy Goat Shaped Cheddar Cheese and Creamy Goat White Cheddar with Jalapeno dinners have been such hits, it recently added several new flavors, including Alfredo and Tomato Basil. Funny Farm works with 21 family farms in Wisconsin that supply it with its goat cheese. The company gained fame for its internationally distributed La Loo’s goat milk ice cream, and then expanded to Funny Farm by La Loo’s frozen goat cheese pizzas. The packaged dinners are its newest offering. “We’re the fastest growing mac-and-cheese out there,” says Tim Millson, who calls himself Funny Farm’s “mayor,” and notes that the brand is carried in some 2,000 natural stores and supermarkets across the country. It has caught the attention of industry powerhouse Kraft Heinz. “In fact, we’ve been taking such big chunks out of Kraft, that they are watching us real close,” Millson notes.